Data Systems Analysts Inc. has appointed Luke McCormack, formerly chief information officer of the Homeland Security Department, to its federal advisory board of directors. McCormack brings extensive IT and leadership expertise from both the public and private sectors, DSA said. At DHS, he provided strategic direction, cybersecurity services, oversight to cross-component IT efforts and IT cloud and infrastructure services. 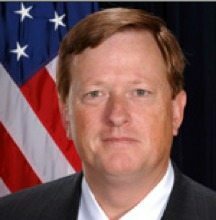 McCormack also served as the vice chairman of the Federal CIO Council. Before that, he served as the Justice Department deputy assistant attorney general for information resources management and CIO, and prior, as CIO for DHS Immigration and Customs Enforcement. McCormack worked for companies including MCI and Ford Aerospace before joining the government. He also recently joined the board of advisers for Suntiva.